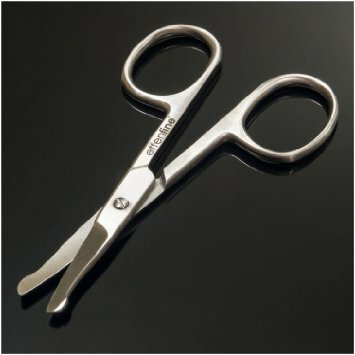 I just got this great pair of manicure scissors. This set has a rounded end on them so you can use these for ear or nose hair and not do damage to your nose or ears. My husband uses these all the time for his nose and ears and loves them. They are a stainless steel so they are easy to clean. They are small and the perfect size. He also uses them to trim any long hairs on his beard. I use them for some longer hairs on my eyebrows sometimes. They work really well for a lot of different small trimming or manicuring tasks. I just love this set of tweezers from effenfine. You get three tweezers in this set. You get the pointed pair for splinters and two slanted tip for eyebrows. They all come in a great little leather carrying case which is great for storing them. These nice metal tweezers, they are really well made and are not going to break or bend. They are great for all kinds of things. Splinters, eyebrows, and even things like crafting. Since you get the nice little carrying case I keep mine close by in the car and in the bathroom for whenever we need them. The case makes it easier to keep track of them so you don’t lose any. Really nice set. 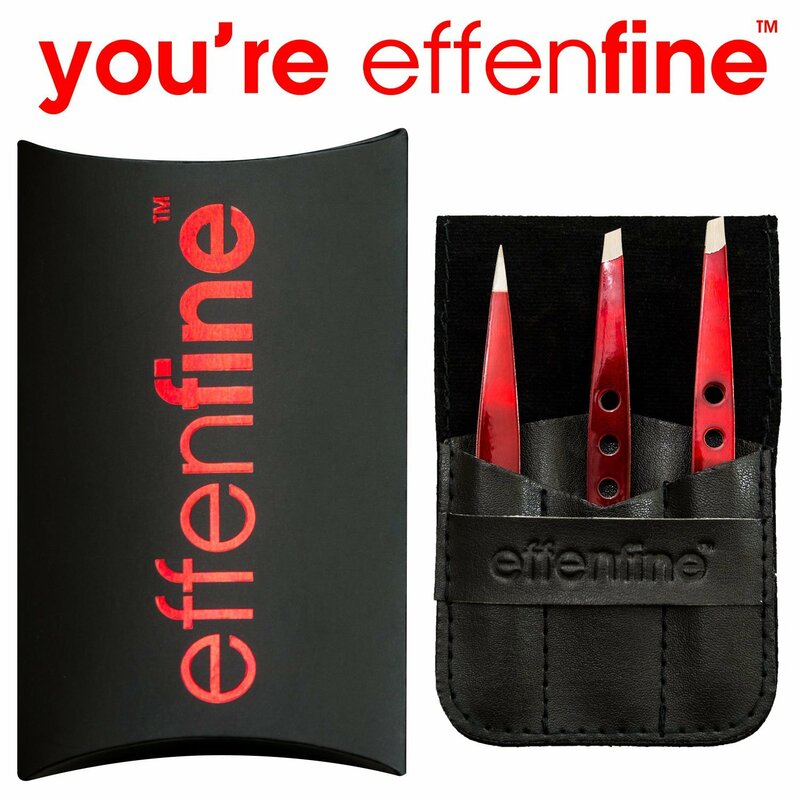 ♥ GUARANTEED – We’re so confident in effenfine Tweezers we back them with our effenfine 10 Year Guarantee. If your tweezers ever become misaligned or bent from normal use within 10 years simply return them for a FREE replacement. A No Risk Purchase What have you got to lose? If you aren’t completely satisfied with our professional tweezer set simply return it within 60 days for a full no questions-asked-refund.